Do you have trouble growing grass? Some trees cast a lot of shade and can make it difficult to grow grass beneath. Instead of fighting the shade and trying to keep an attractive lawn beneath, why not eliminate the turf area and include some of your favorite shade loving perennials? As you can see in the photo, we eliminated grass and included some Ferns and Brunnera. Then with the available colors and sizes of Hosta varieties, you can create an interesting Hosta glade underneath your trees. A 2-3” layer of shredded mulch around the plants will finish the look and keep the weeds down. The mulch will also help to retain moisture. Planting trees and shrubs too deep will cause a slow death for sure. It is so very important to be sure that you plant your new trees and shrubs at the same depth as they are growing in the container that you received them in. If you are working with bare root plants be sure to plant all roots just under the soil surface and not bury them too deeply. Many times, the planting depth is visible on a bare root plant showing where they were grown at the nursery. Planting your trees and other plants too deep where there is less oxygen in the soil and can cause root girdling and death of your plants. It’s only natural for us plant nerds to like to try growing things that may or may not be perfectly hardy in our yards. Or, maybe you have some rose bushes or other plants that might benefit from having some additional winter protection. For those of you who live in the colder regions where you get snow throughout the winter… keep this in mind when you are out moving that snow out of the way of your sidewalks and driveways. Snow makes the perfect insulation for your plants. Roses for instance will love having the snow piled up and covering as much of the stems as you can beneath the snow! Just be careful not to pile heavy snow on top of plants that might get crushed. Bloom Pads from Nature Hills will make spring arrive early inside your home. Brighten the bleak winter days with bursts of colorful flowers and super fragrance! 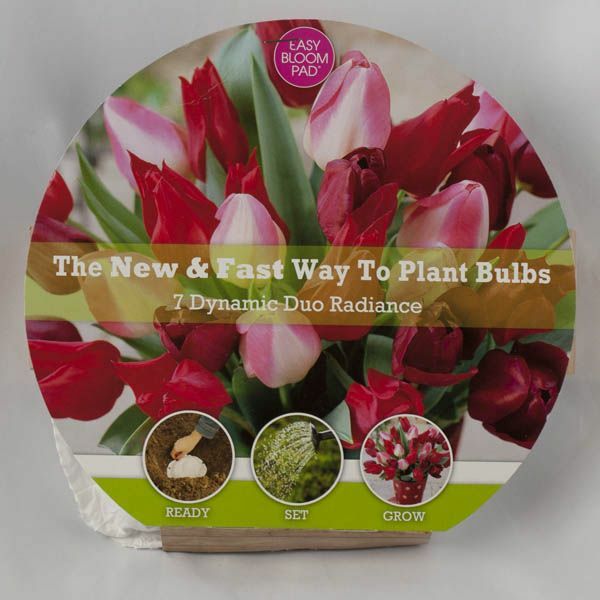 Bloom Pads are spring flowering bulbs that are placed between two pieces of biodegradable paper. Bare root still good to ship until mid-June. Bare root plants are dormant and are shipped without any soil on the roots and no leaves on the stems. The roots are wrapped in a medium to keep them moist during shipping however. The plants will start to grow once they are planted into warm soil and catch up to the plants in your landscape before you know it. Bare root plants are kept dormant in our coolers so the plants still think it is winter until they are taken out and planted. 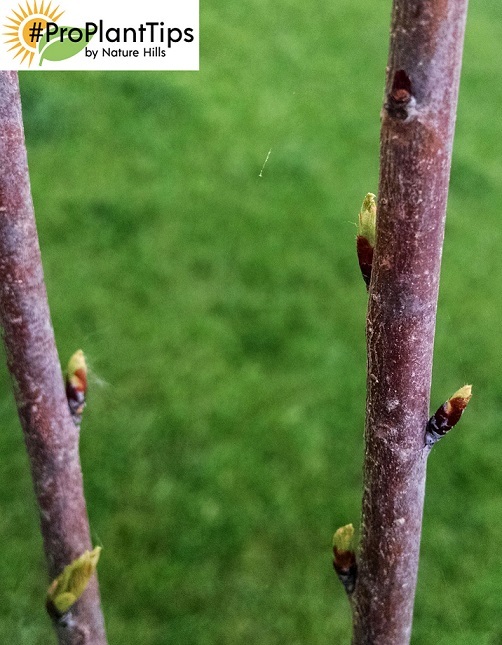 Look at a cherry tree recently planted and notice the new growth coming. What are all those fussy things floating around in the air? They are plugging up the screens in our house. They are plugging up your air filters. The Dandelion plants are kind of done showing their fussy seed heads so it can’t be those. In most cases, you are seeing the seeds from Cottonwood trees. They are those large, stately trees that you most commonly seen in the western states. 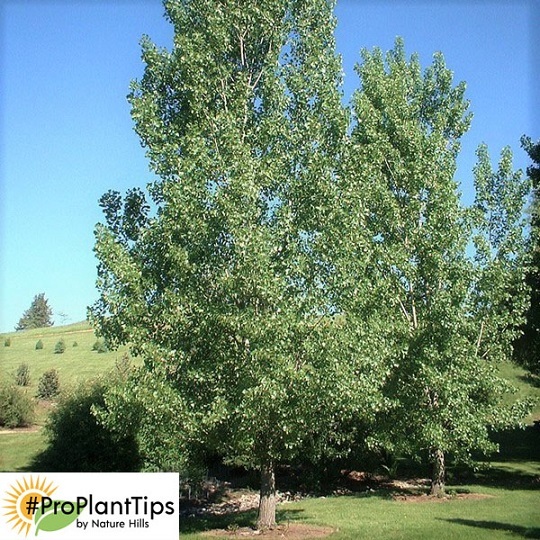 Nature Hills sells two different kinds of Cottonwood trees that are seedless and do not produce any of the messy, fuzzy seeds that you see at this time of the year: the Siouxland Cottonwood and the Hybrid Poplar. 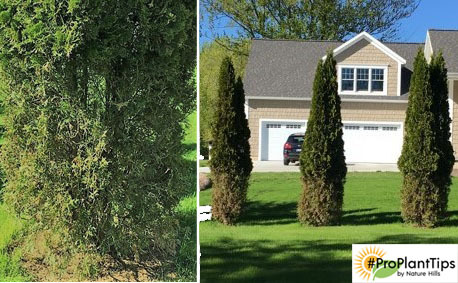 Deer browsing on only the green foliage of the Arborvitae is very common in areas where there is a lot of deer pressure. 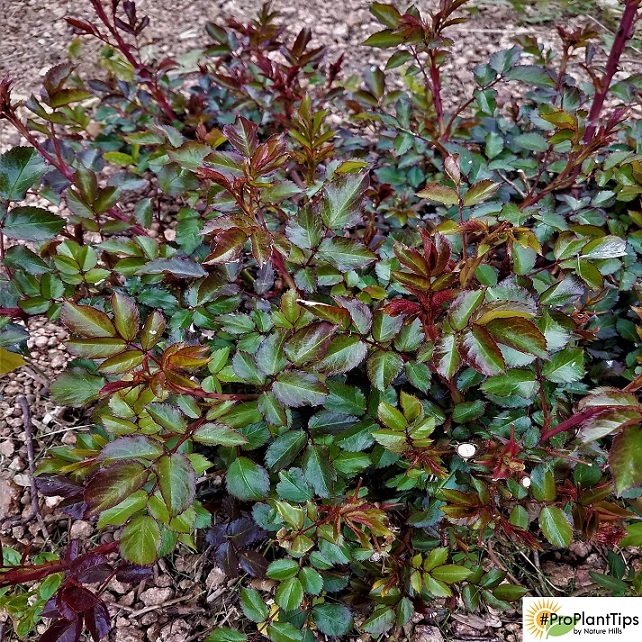 Many times, customers are confused about the damage being a disease or other problem other than deer eating the foliage off the bottoms where they can reach it. Get to know what plants are magnets for the deer in your area. Ask your local ag extension office if they have a list of plants that deer prefer in your area. Keep in mind that deer may prefer different plants in different areas. The other factor to keep in mind is that if deer do get hungry, they may eat most any plants! Classic Mockorange plants of the past had kind of dull and not so attractive foliage and little fall color. The plants were large and leggy and not so very attractive in the landscape as they got just too large. Why Mockorange? The flowers are wildly intoxicating and smell like sweet orange blossoms. 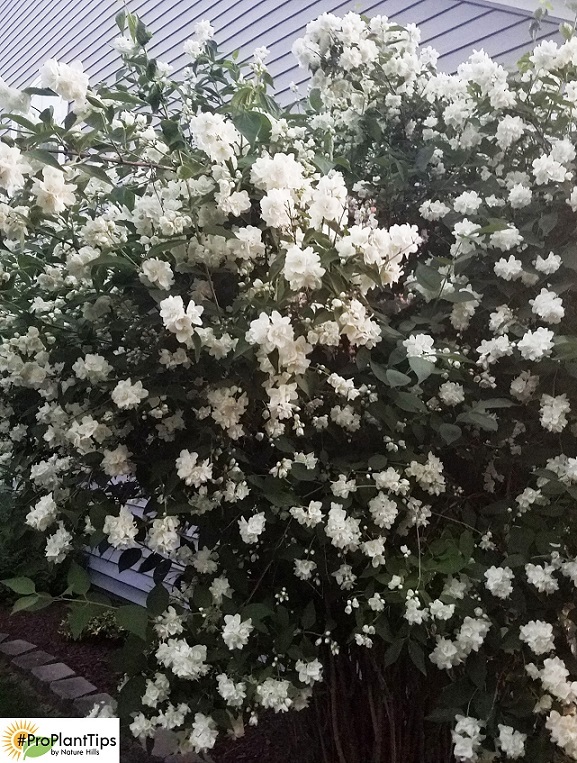 The other reason people planted Mockorange is because the elegant white flowers come at a time when there are not a lot of other shrubs blooming. They typically start blooming in June after all the spring lilacs, Quince or Forsythia have finished. Peonies are amazing perennials. Interesting how you even see them growing on abandoned farmsteads without any attention. Simple care of full sun and well drained soils is all you need. Once the plants are done blooming, it is well worth your while to deadhead the old flower heads. You do not want the plants to produce seed so removing the spent blooms it does not allow the plants to waste its food making seed, but storing food instead. The other thing deadheading does is prevent fungal disease from affecting the plants. 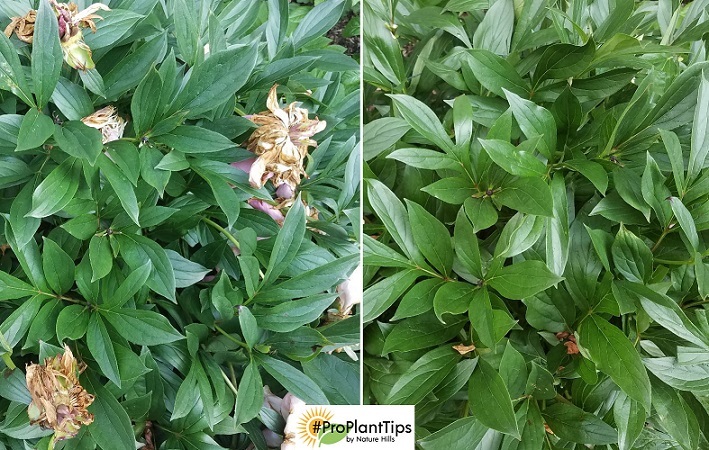 Lastly, removing the old flower heads really cleans up the plants appearance and make them a nice green plant in the perennial or shrub border for the balance of the season.